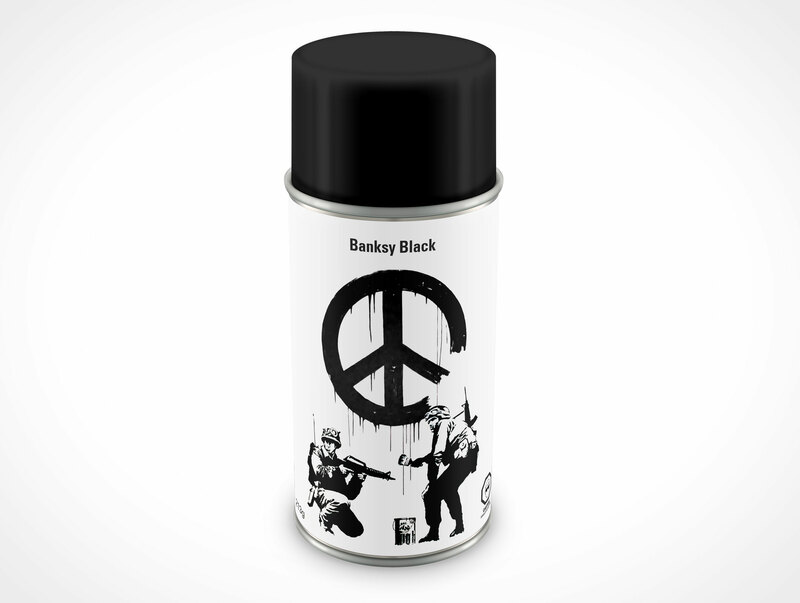 CAN035 is a typical spray can with plastic cap. 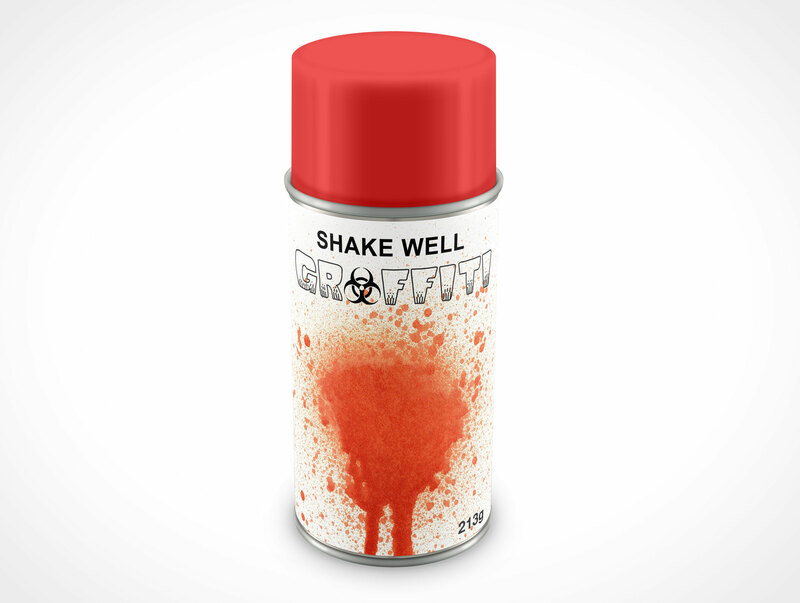 This PSD Mockup renders your supplied sketch or finalized designs onto a standing 213g (~8oz) spray can. 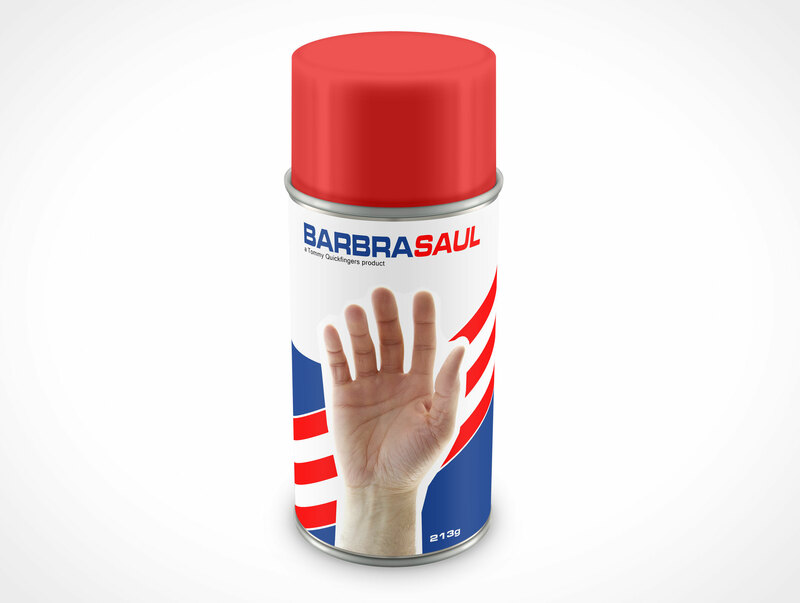 The completed render will present your artwork on a can with a 30° view from above the can looking down. 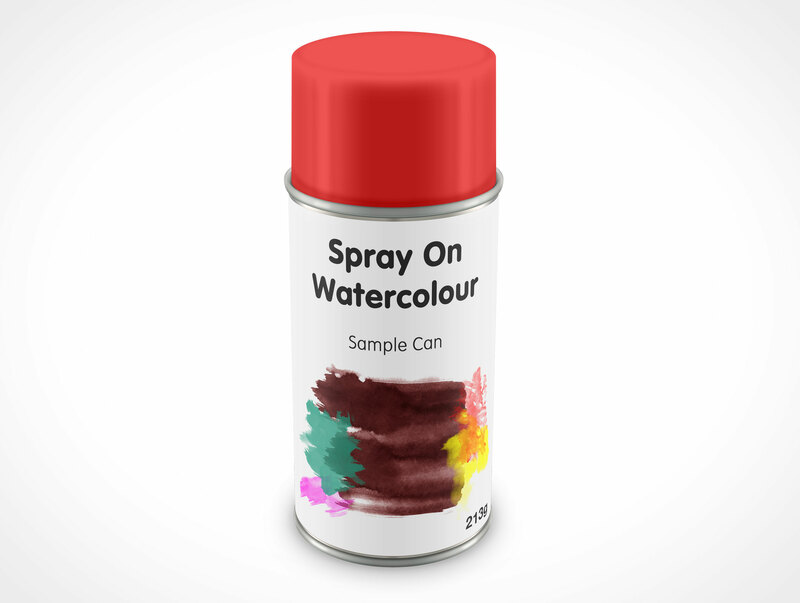 The samples included in this post make it seem the can is facing forward, however, you can easily render the side or back of the can. To do this, simply adjust your design in your template to display the area of the design to render. The background is transparent and simply appears white as this is the mockups default setup. Changing the background image involves toggling off our default white background in favour of your own image. Highlights and shadows are provided to help accentuate the spray can’s depth and light sources.